Today is the last Monday I am off, sadly. We will be back to school on Wednesday. Summer is over. I cry. I am so sad that I won't be able to lay around in my pjs until noon. Oh the life of a teacher. Are you going to be buying at the sale on Wednesday? I am SO excited to buy a few goodies that I didn't realize I wanted during the last sale. In fact, I hope next year TPT does the same thing because I am going to be buying things that many of my instagram friends posted. It was nice to see what they got, because I am ready for this sale!!! I thought I would say THANK you to all my TPT followers and my IG friends for being so faithful, and amazing. I am beyond grateful for all of your support. 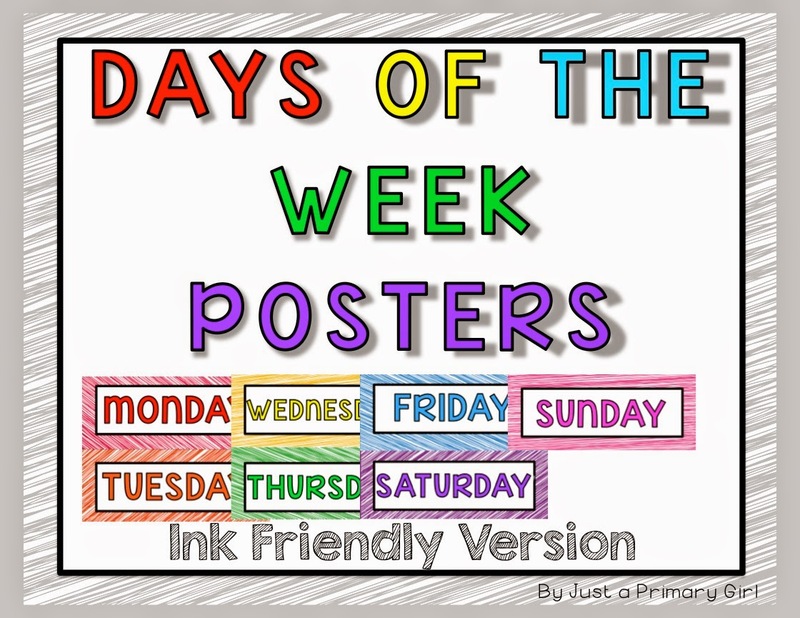 So to say thank you, I made a freebie for you!!!! 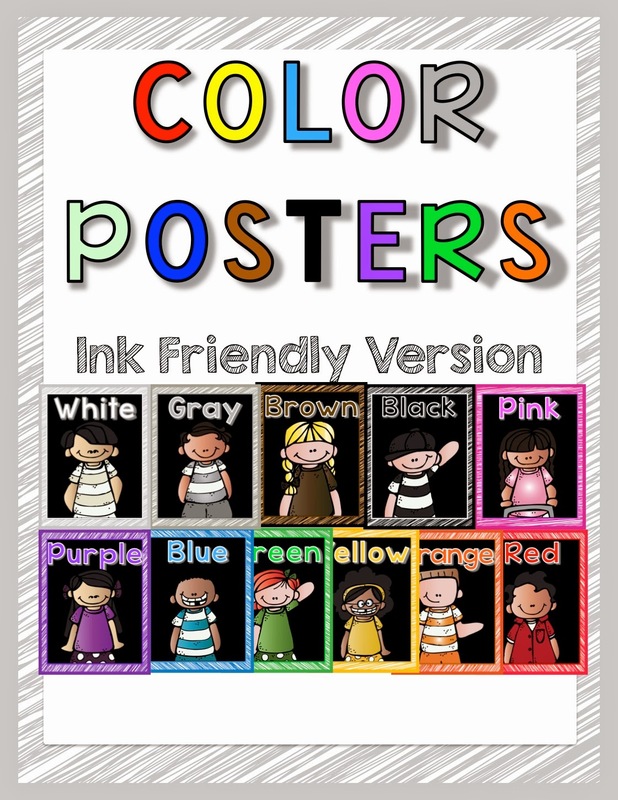 I made these adorable color posters for you all! 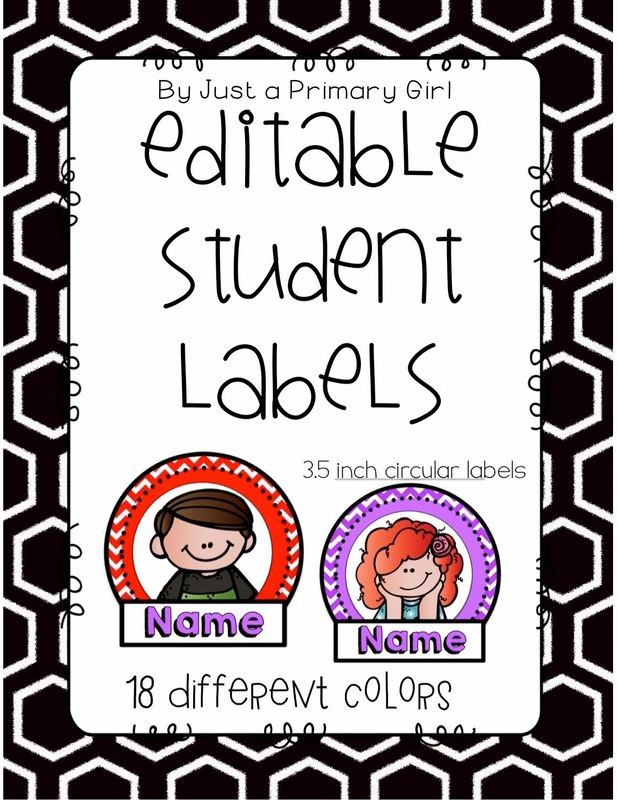 I hope that you find either the black background or the white ink friendly background fun to use in your classroom decor!! They are a THANK YOU for all you have done for me this year!!!! 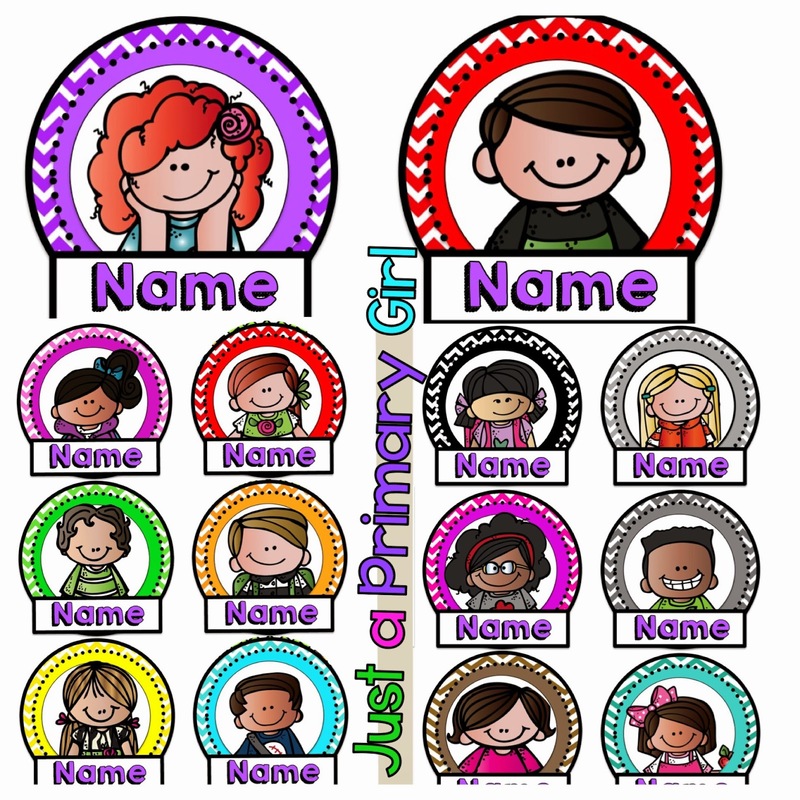 Click on either picture to scoop up the ones that will best suite your needs! 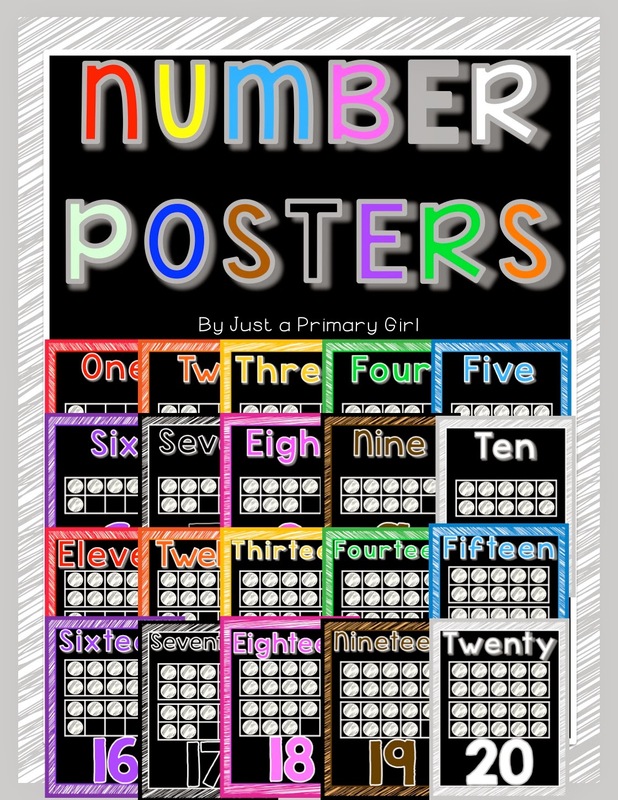 If you like the freebie, I hope you will find these number posters helpful in matching your room decor. I can't wait to hang these in my room. I am thinking that maybe, just maybe I will not replace them next year!!! Click on either picture to check out either the printer friendly or black version. 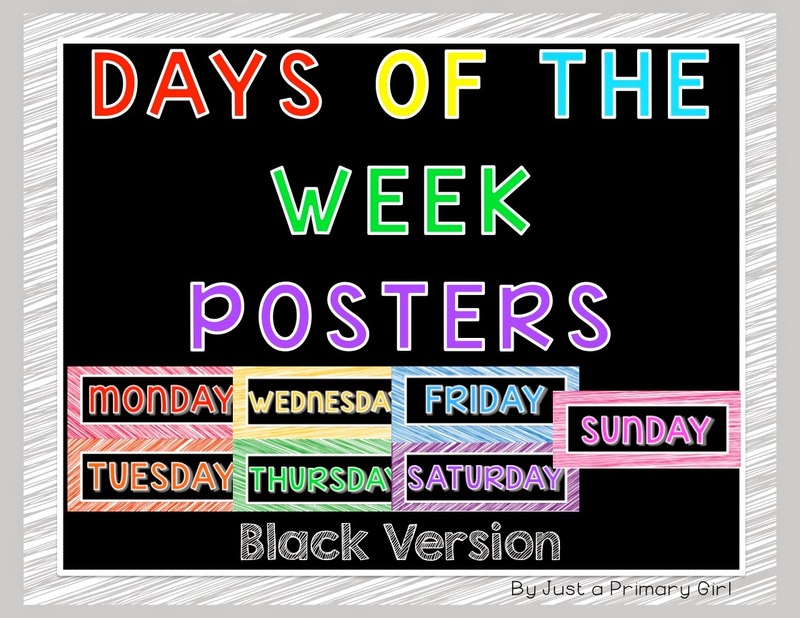 I have also included the days of the week in both black and the white version. Why stop there - right? 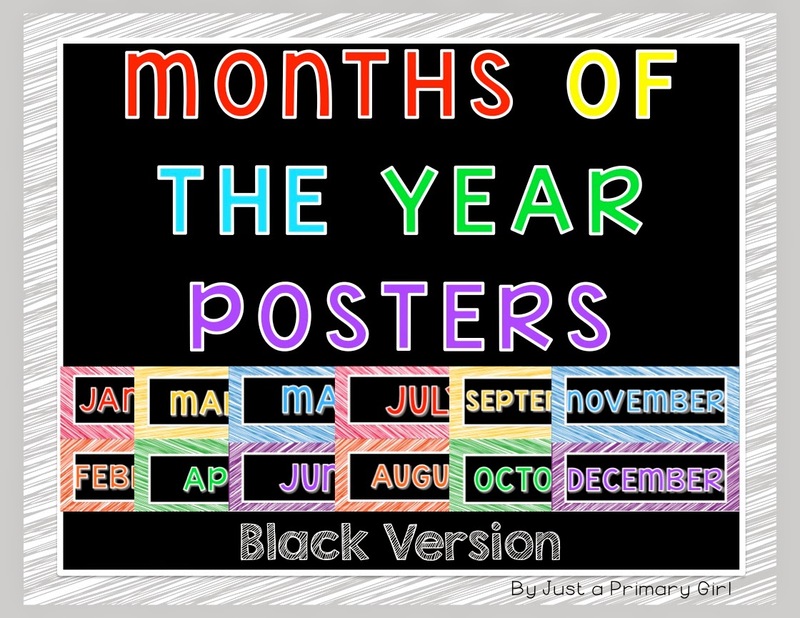 I will be doing my months of the year too! Click on either to see black or white versions! 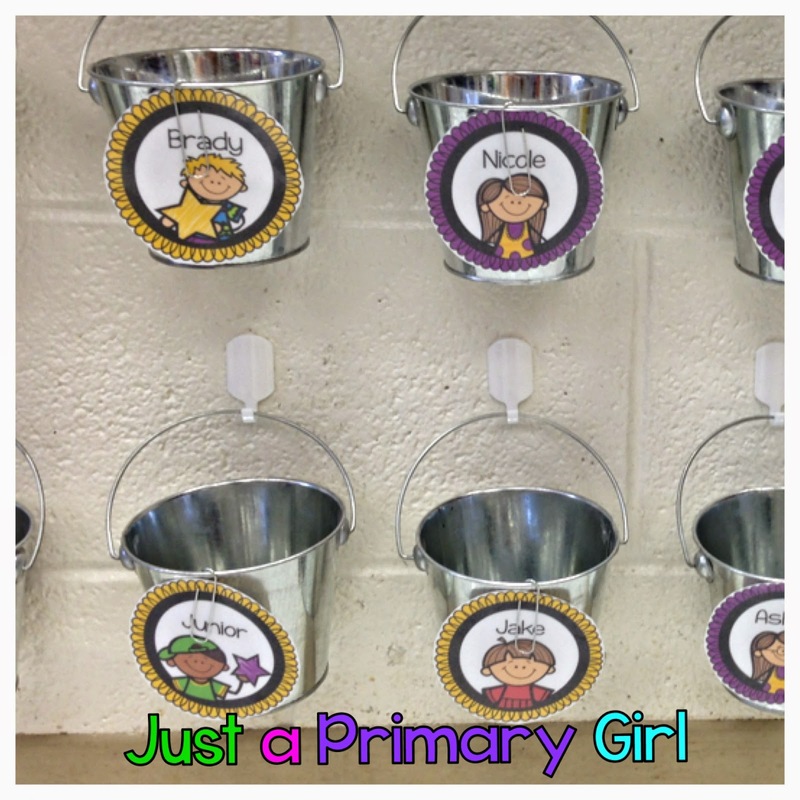 Last year, I had the cutest bucket note kiddo labels. I got SO many compliments and people asking me to put them on my TPT store, but time got away from me, and I just forgot. 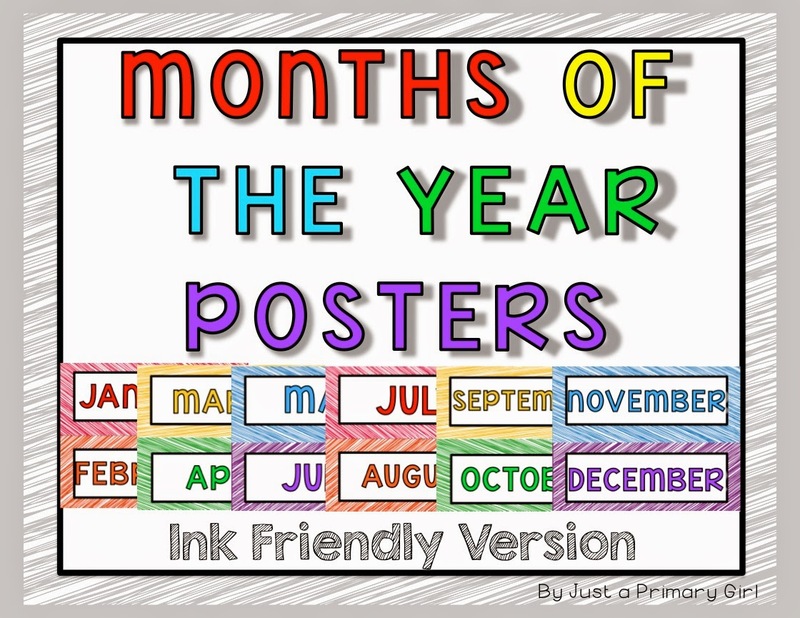 So this year, I made a set for you all and a way to only print the ones that you want without wasting ink. 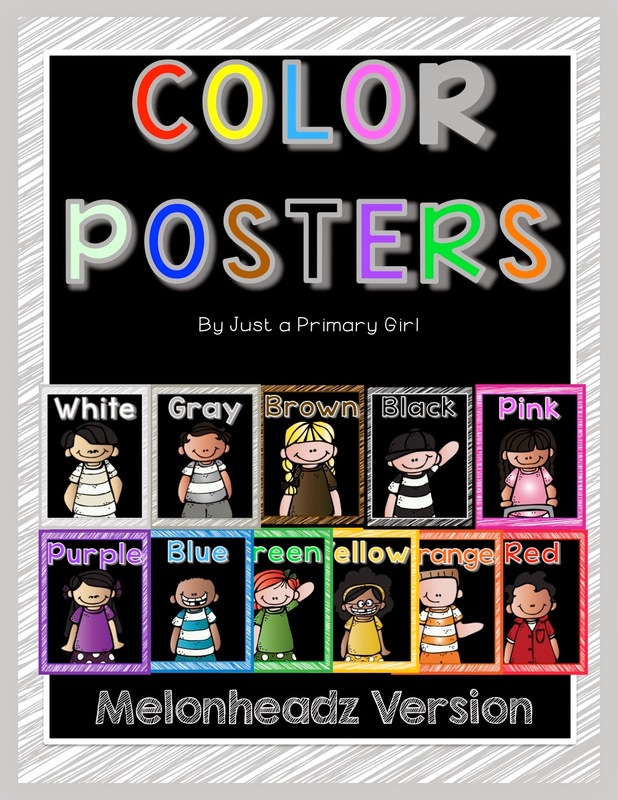 I am also going to be posting rainbow ones that are all the same color so it is more uniform for you! I hope to have the rainbow version for you tomorrow for your wishlist for the big sale!!! Now, I am off to cut out about seven hundreds pages of lamination!!!! 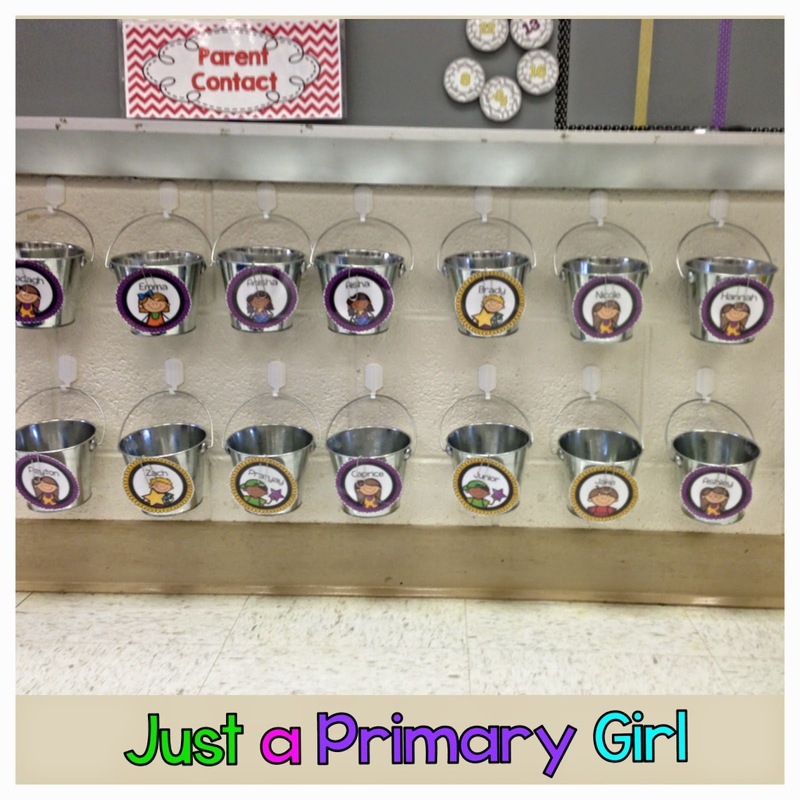 Your bucket idea is super-cute! 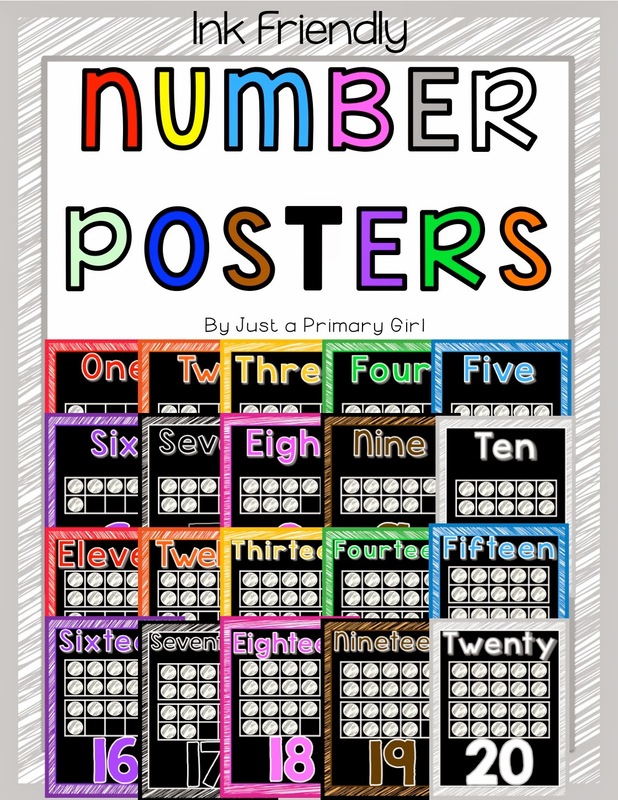 Wish I had bulletin board space to do it with my 53 kids..